"It was unveiled last week at the Constitution Center in Philadelphia, PA at the 2011 gala dinner and presentation of the Liberty medal to former Secretary of Defense Robert Gates . 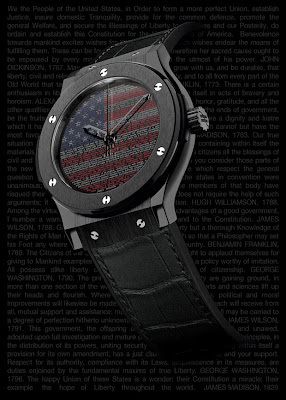 Hublot partnered with The Constitution Center and the “Liberty Medal” to create a special limited edition timepiece to be presented to recipients of the award. 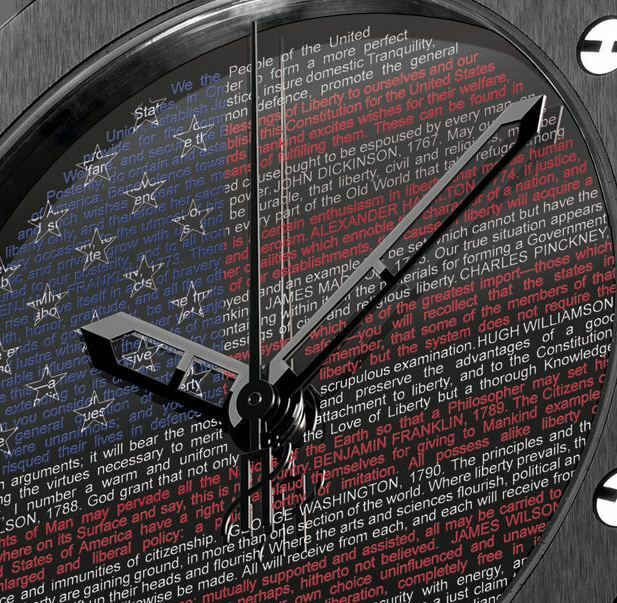 The Liberty Medal is awarded annually by the National Constitution Center to men and women of courage and conviction who have strived to secure the blessings of liberty to people the world over."